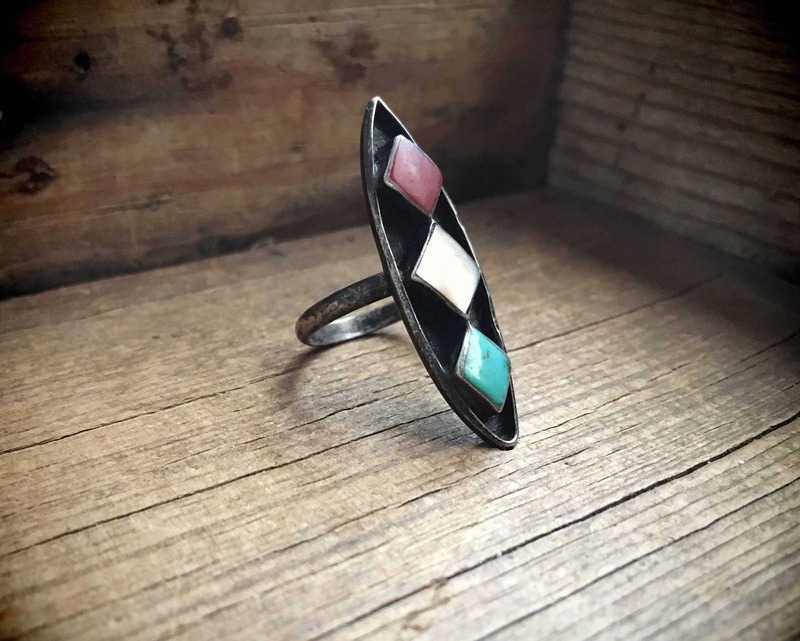 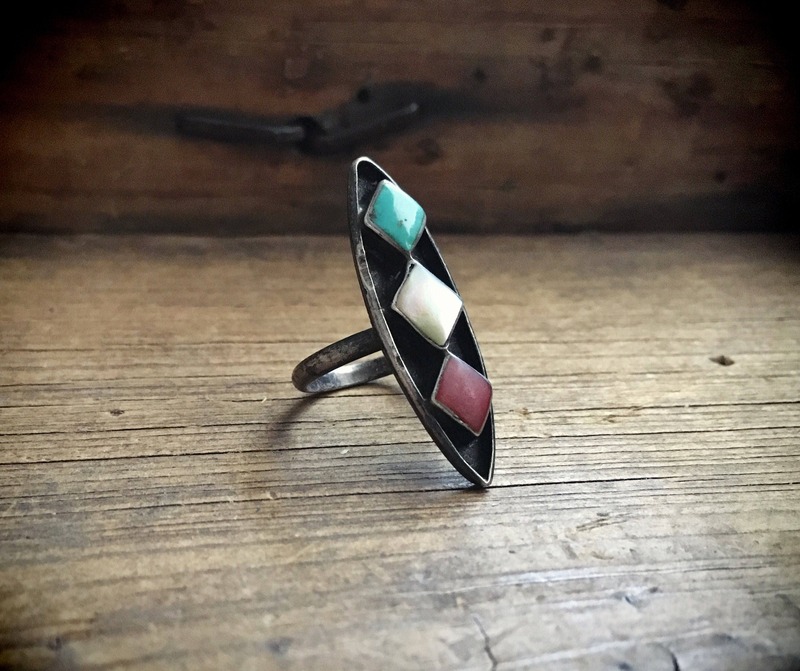 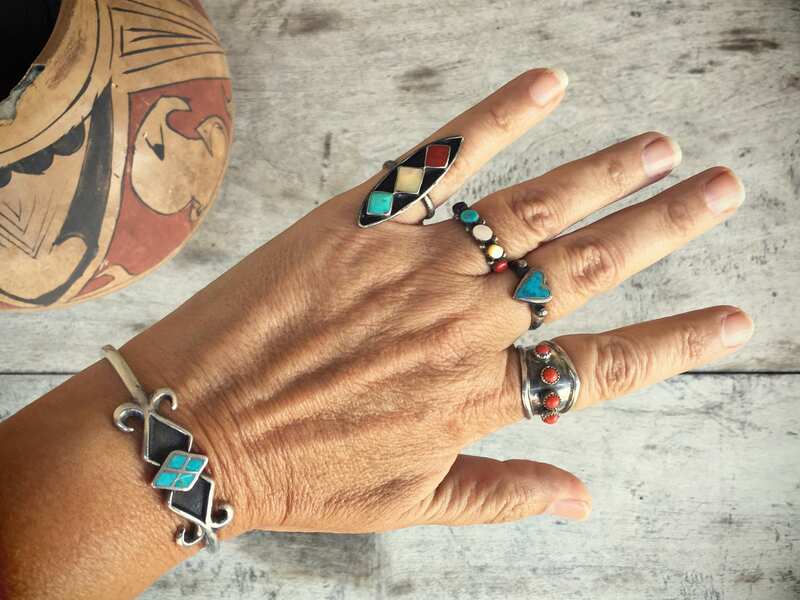 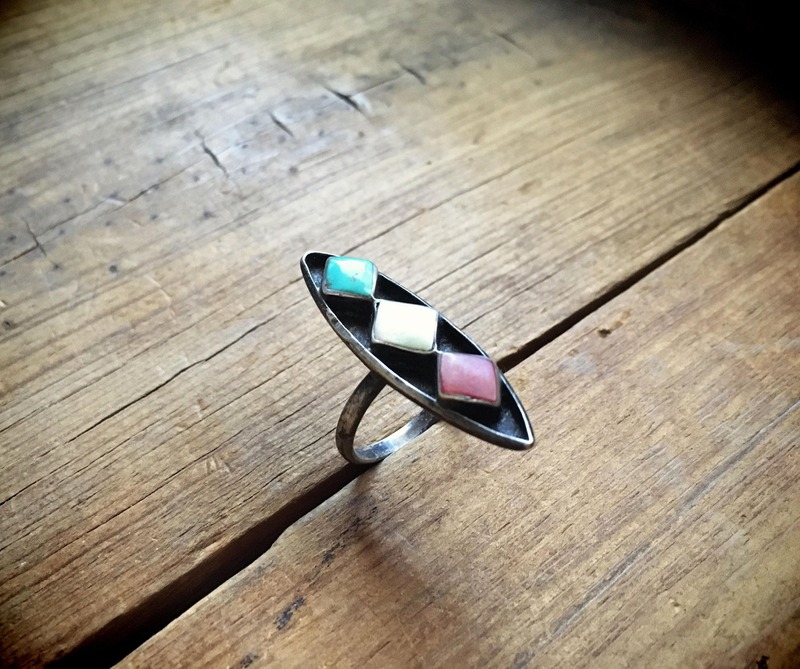 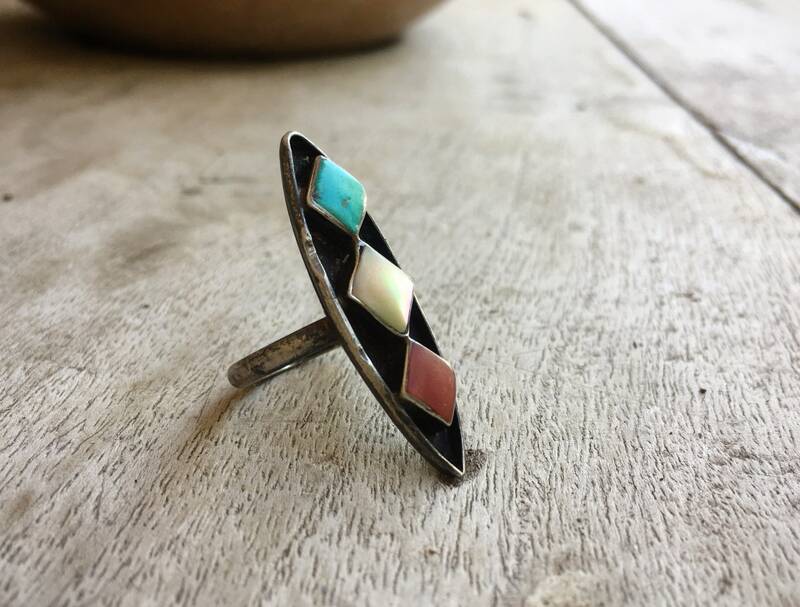 This older turquoise and silver ring is classic 1960s to 70s, with a cabochon each of Turquoise, Mother of Pearl, and Coral in diamond shaped settings set onto an oxidized long diamond shaped foundation. 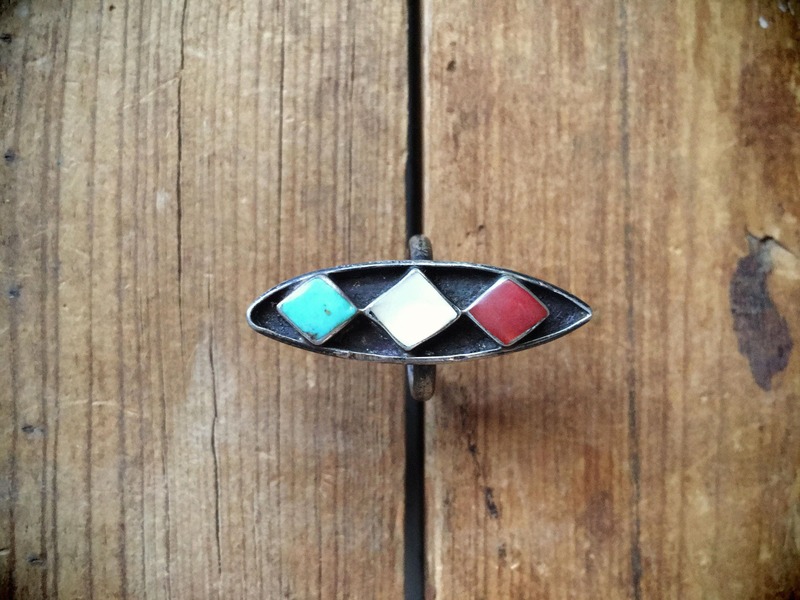 The ring was black with tarnish when I bought it, and it truly was a diamond in the rough. 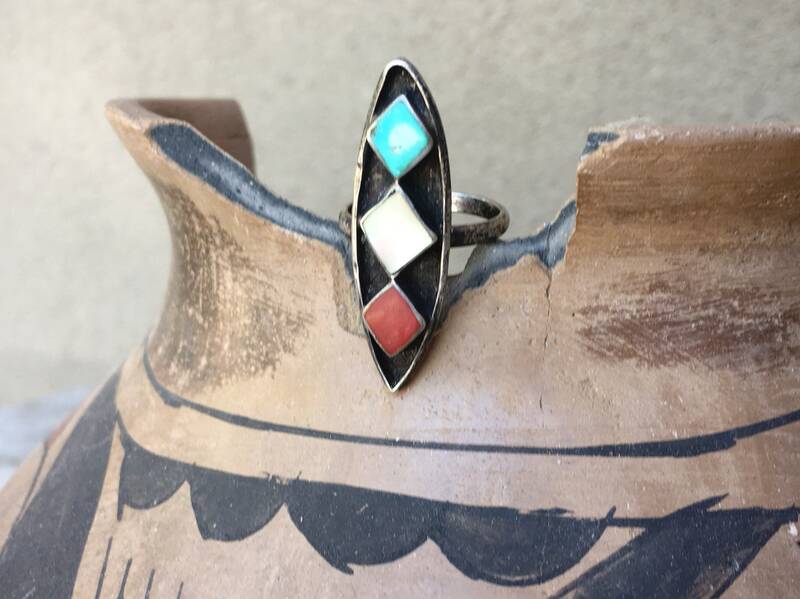 Because it's unsigned, we cannot say with certainty that it is Native American, although we believe it is Navajo or Zuni. 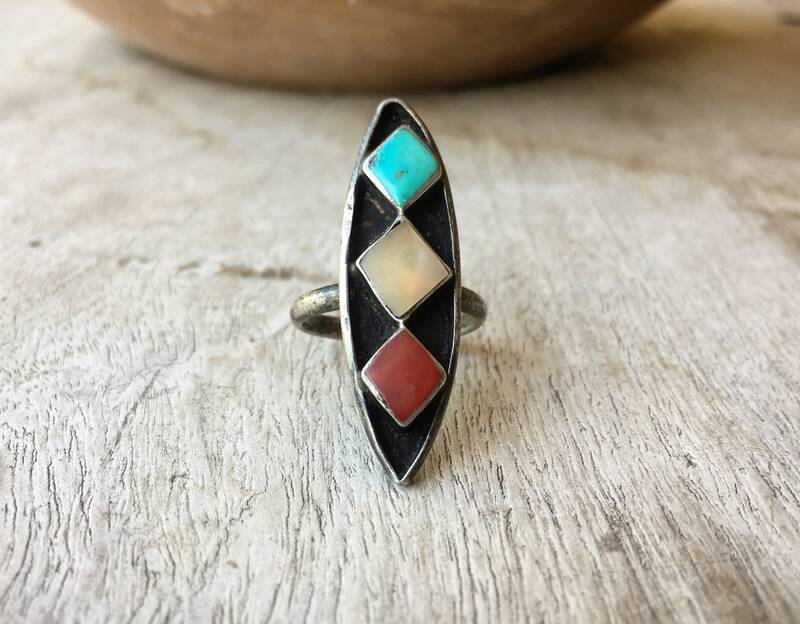 The ring is Size 5.75. 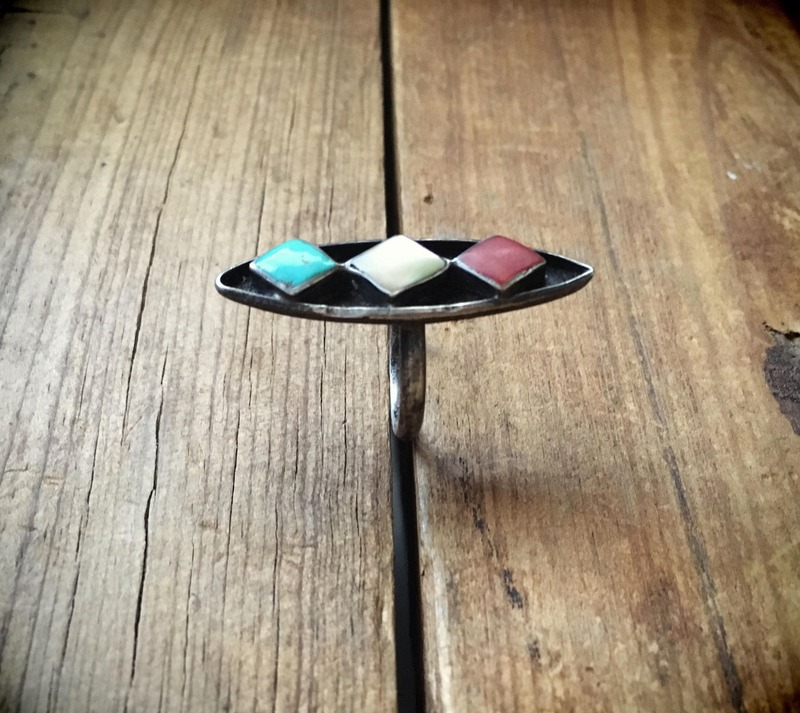 The ring face measures 3/8" across at the widest point by 1-1/2" long and sits on a single shank ring. 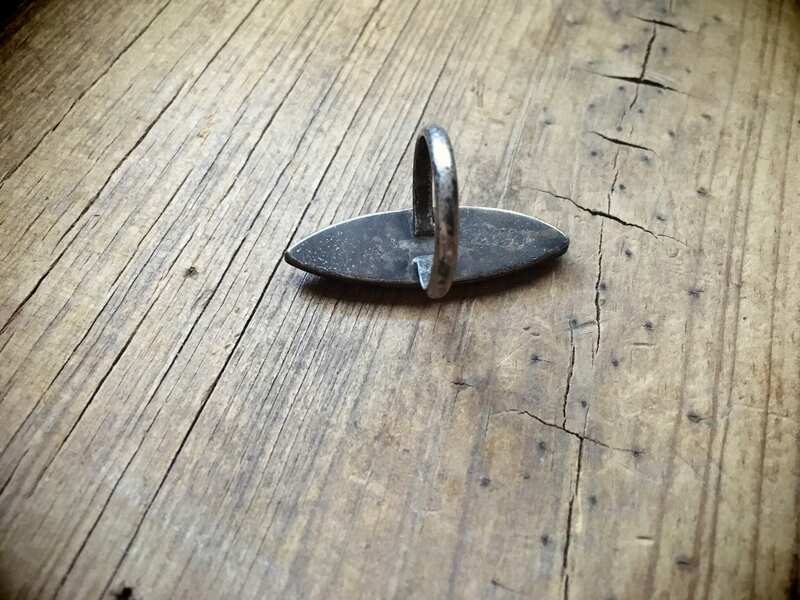 The sterling silver sides and bottom and shank all have scratching and some small dings, natural given its age.